Employee well-being is now becoming increasingly important. Forward thinking employers recognise the importance of health and well-being in attracting and maintaining staff – and they have started to do something about it. The biggest complaint by employees in open plan offices? The distraction caused by other people! Talking (on the phone, in nearby offices, by the photocopier) is the most frequent complaint, but there are three simple strategies employers can adopt to improve the working environment. They are commonly known as the ABC of acoustics: absorption, blocking and covering. Absorbers correct the reverberation or reflection of sound in a room (think soft furnishings, curtains, cushions, carpets). Blockers interrupt the sound path and act as barriers (think screens, panels and ceiling buffers). 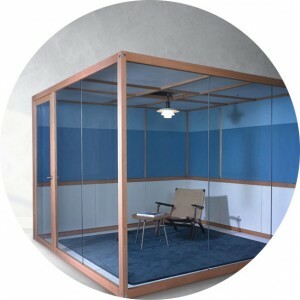 Covers provide a ‘mask’ by artificially increasing the ambient or background noise, thereby aiding speech privacy (think background noise created by air conditioning, heating or music). Ideally, a balanced approach of all three strategies is best, and is relatively easy to accommodate when designing a new office. It’s not so easy, though not impossible, when adjusting the acoustic properties of a room retrospectively. Working in an office environment typically involves tasks which require the 5Cs: concentration, communication, confidentiality, and collaboration. 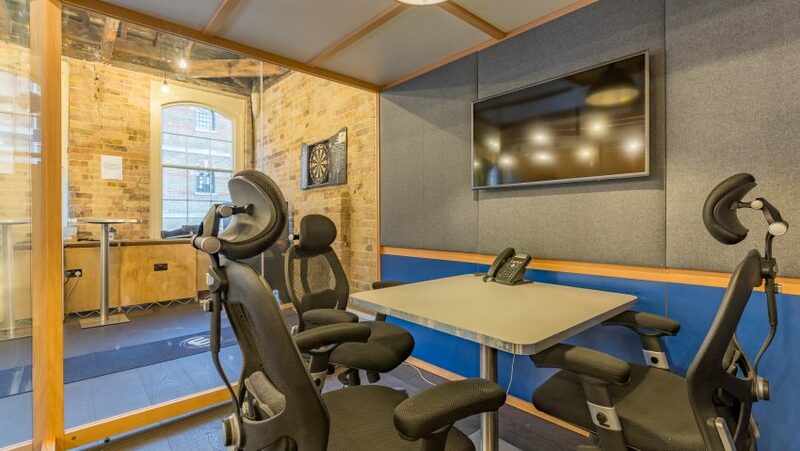 There is also a need for a communal area where employees can relax and chat. 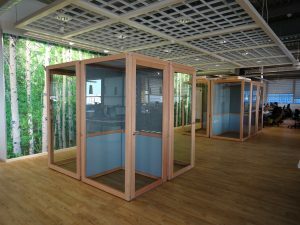 It is increasingly important for employers to be able to create different zones for different types of work and each has a different acoustic requirement.